Essential Performance Compressor Upgrade Kit. 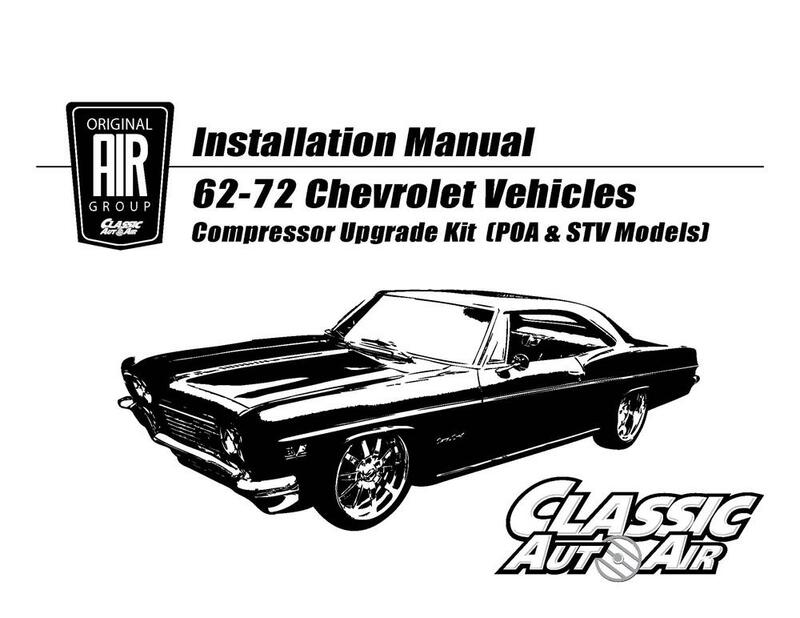 This kit is engineered for your 1968-71 Chevy/GMC C/K Series Truck with factory a/c and V8 engine. Our Stage 1 A/C Performance Upgrade Kit is the essential solution if you are looking to replace your original compressor with an upgraded rotary style compressor. Eliminates shaft seal leak problems associated with the stock compressor. Continuous duty rating of 6,000 RPM. * Hoses supplied with one end open, along with the corresponding fitting and crimping instructions. Your local a/c shop can provide crimping services, or we can provide the crimping service for an additional fee. Instructions for both options will be included. WHAT ENGINES DO THE COMPRESSOR BRACKETS FIT? Stock Small or Big Block Chevy V8 with short water pump and compressor mounted on passenger side (right-hand) of the engine. PLEASE MAKE SURE THE ENGINE FITS WITHIN THE GUIDELINES LISTED ABOVE. UNSURE? Please call or EMAIL with questions. CAN I INSTALL THESE PARTS MYSELF? The average hobbyist can install without difficulty. General rule of thumb is if you change your own parts, you can change these parts. It is recommended, however, to have the system evacuated & charged by a professional. Hose Crimping instructions can be downloaded by CLICKING HERE. Other than crimping one end of the hoses and charging the system, no other specialized tools or knowledge is required for installation of parts. This kit is designed for use with the newer 134a refrigerant. It is important to make sure all components that are being reused (evaporator, condenser, liquid line/hose, all valves) are either changed or flushed and clean of contamination before installation and charging of the system.